thisissami is a dance music making machine. His live show & music production workshops have been presented at numerous events and festivals in Western Canada & USA, including Shambhala, Bass Coast, and Astral Harvest. He is not a DJ. 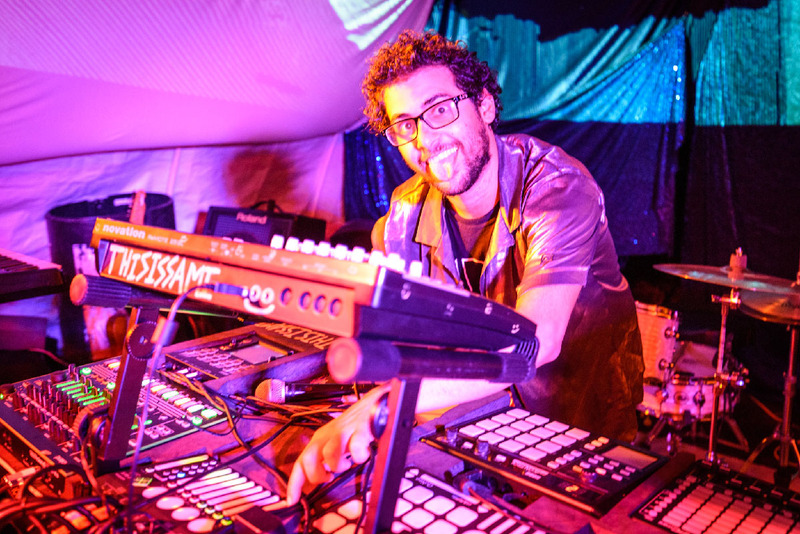 When performing, thisissami produces original funky electronic music live – all completely improvised. His high-energy on stage charisma infects the audience, who can’t help but dance as they watch him work his magic.